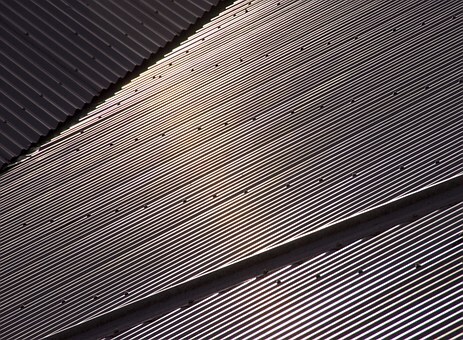 As years go by a lot of people make mistakes when installing metal roofing on houses. These mistakes can cause poor quality, property damage and pose as a safety hazard to those who will be lining in the house. This article will be all about the most common mistakes and error that installers make when working on other people’s homes. This is something that every homeowner needs to know in order to avoid getting into bigger issues in the future. Give your metal colorbond roofing in Mornington a good look and you will notice that that it has two panel sizes. The short lip of the roof should overlap or cover the bigger lip. This procedure needs to be done with precision by your contractors in order to prevent water from getting inside your house and leak right through the ceiling. Incorrect lapping can also make the roof less secure especially during bad weather. You need to make sure that the workers are applying the screw using the correct manner. It should nor be too tight because it can damage the colorbond roofing material. It should also not be too loose and have enough space for the washer to rotate. Screws should be ideally placed in a flat surface right in between the panels. You can even install and secure your roofing by using a reliable tool which is the nut bolt. We all want our roofs to be free from leaks and water stains that can cause big money to repair and the primary solution is to apply some amount sealant on the roofing. Please do not rely just on the caulking agent to fix the existing issues. Aside from that too much sealant can affect the appearance of your roof, since it is bulky and it can look more unnatural. Some people have the tendency to allow their metal panel hang over the edge of their roof either too far or too little. In most cases it is highly recommended to place the roofing panels at least 1 1/2 to 2 inches from the metal roofing. Roofing construction is one of the most expensive things that can be done on a certain project. So it is just right that you make sure that the contractors are doing their job correctly. You need to make sure that every penny spent must be worth it.